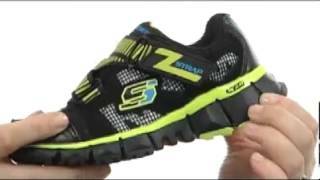 The youth flex advantage 2.0 Boys Shoe is manufactured by Skechers and was added around January 2019. This version of the Boys Shoe comes in Color : Black. The best price for the Youth Flex Advantage 2.0 in Kuwait is KWD 16 sold at Namshi and available with free shipping and delivery within 6-9 days.